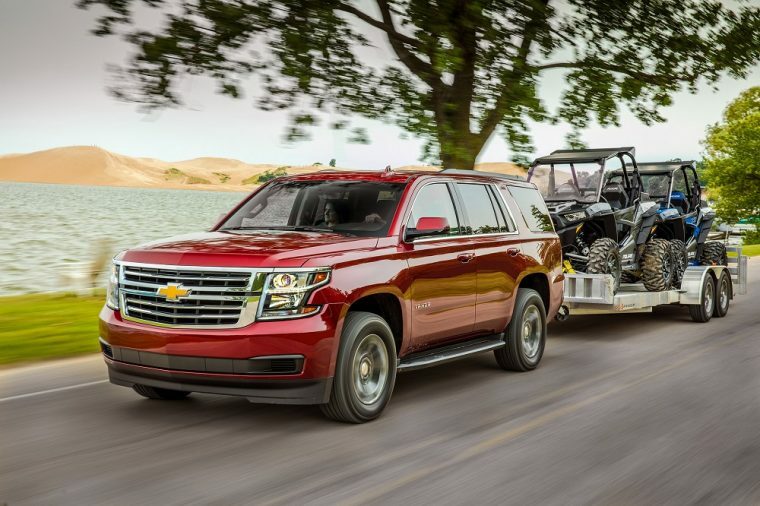 What are the Differences Between the 2018 Chevrolet Tahoe and Suburban? 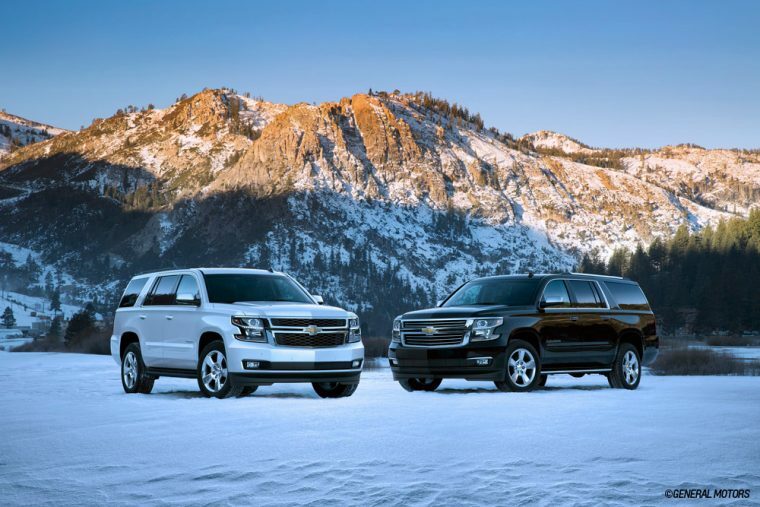 When heading to the dealership to pick out your perfect full-size Chevrolet SUV, you will have two vehicles to choose from: the Tahoe and the Suburban. At a quick glance, the SUVs look nearly identical. However, upon further inspection, you’ll discover certain features that you may or may not need from each SUV. The first obvious difference between the Tahoe and the Suburban is size. The Suburban is the larger of the two, measuring 224.4 inches front to back, with a height of 74.4 inches. The Tahoe is just as tall as the Suburban but is approximately 20 inches shorter. While both vehicles tout the same amount of head, leg, shoulder, and hip room for front passengers, there are some differences in the second and third rows. As you can see, the Suburban boasts a tad more roominess for third-row passengers and their legs. This translates to more cargo room as well. The Suburban offers 121.7 cubic feet of cargo room with the seat area folded down where the Tahoe offers 94.7 cubic feet. Conclusion: If you need more space for hauling cargo or people, go with the Suburban (which seats eight, compared to the Tahoe’s ability to seat seven). For some, the amount of money spent at the gas station is the main factor in choosing between two vehicles. While most full-size SUV buyers know these vehicles aren’t the most efficient options on the market, it still might be worth it to weigh the options between the larger vehicles. The same can be said for power. Depending on engine options, the results for capability and fuel efficiency can vary. The 2018 Chevrolet Tahoe can be equipped with either a 5.3-liter EcoTec3 V8 engine, paired to an electronically controlled six-speed automatic transmission, or a brawny 6.2-liter EcoTec3. 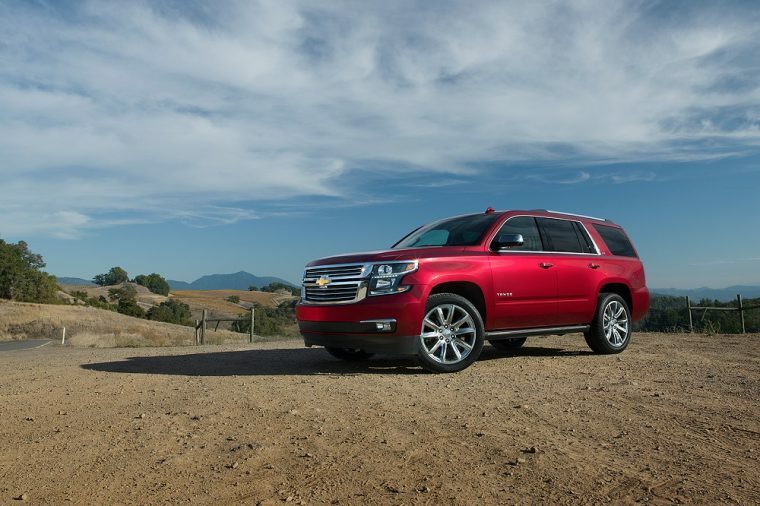 The Suburban only has the option of the smaller 5.3-liter engine. Conclusion: If you want more power and trailering ability without sacrificing too much fuel economy, choose the Tahoe with the 6.2-liter EcoTec3 engine. 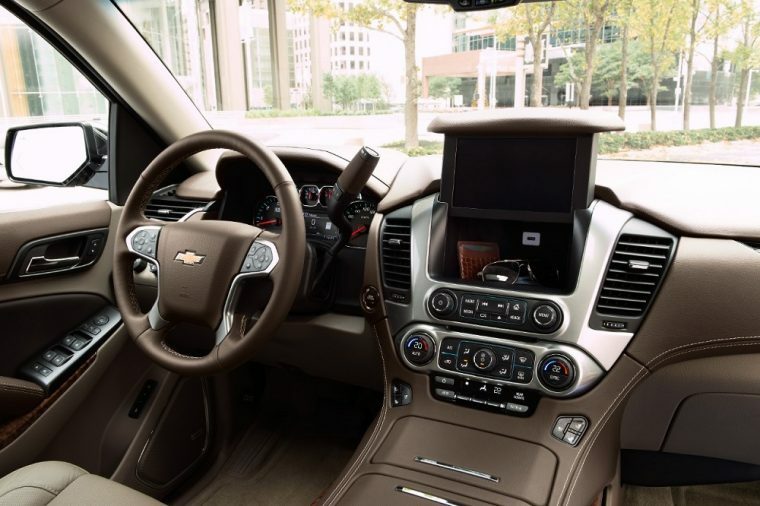 Both the Tahoe and the Suburban come with a bounty of standard interior features on their respective base LS trims, including tri-zone automatic climate control, a leather-wrapped steering wheel, cruise control, cloth upholstery, and a 10-way power-adjustable driver’s seat. This is similar for exterior features as well, with items like black assist steps, heated outside mirrors, and roof racks available on both SUVs. However, there are some slight differences when it comes to technology. If you still prefer to slide in a CD to listen to your favorite tunes, you’ll have to go with the Tahoe LT, which has a single-slot CD/MP3 player; the Suburban doesn’t have this feature on any trim and instead has Chevrolet MyLink® available. 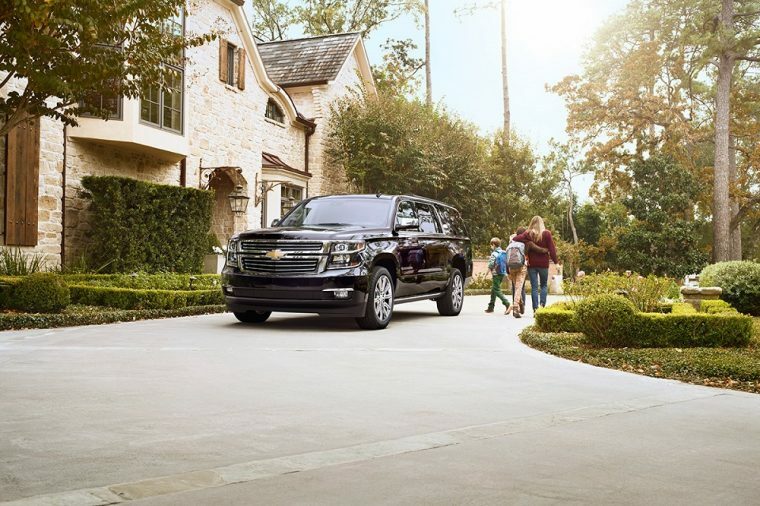 The Tahoe features Keyless Start, allowing you to start the SUV while your keys are in your pocket or purse, but the Suburban only has Keyless Open. Additionally, only the Tahoe Premier trim comes standard with Lane Change Alert with Side Blind Zone Alert as well as a Universal Home Remote; the Suburban doesn’t have these systems. One area where the Suburban outshines the Tahoe is visibility, with its standard IntelliBeam® headlights on the Premier trim. Conclusion: If you want an abundance of helpful tech features but don’t need extra light for your travels, go with the Tahoe. When it comes down to it, money is going to be a deciding factor for most when purchasing a new vehicle. Based on what you want, you’ll likely let the cost of a vehicle determine what you actually need. Depending on trim and configuration (2WD vs. 4WD), the 2018 Chevy Tahoe or the 2018 Chevy Suburban can cost you $48,795 to $69,195. 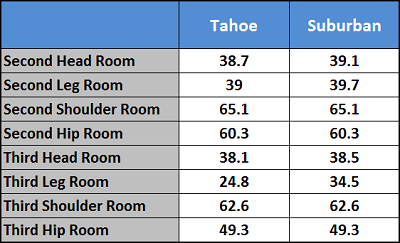 Conclusion: For a feature-packed, average-sized SUV at a moderate price, go with the Tahoe. The Suburban is a great choice for those who need the extra room and capability.